After existing in the wholesale world for several years, it was time for us to branch out into retail. We wanted to have a place for people to experience our brand exactly how we wanted them to. 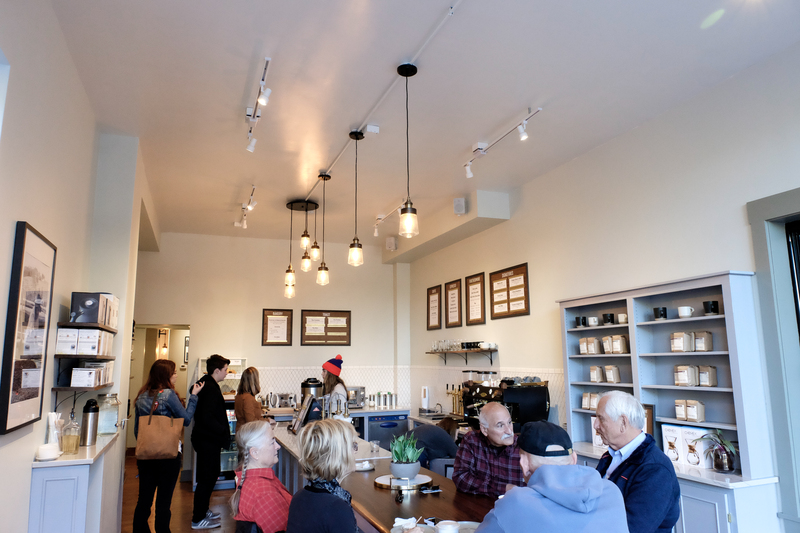 The opening of our Race Street location was an extension of that desire – fulfilled in a cozy, kitchen-like space. We wanted people to feel welcome, like they’re sitting at the table with us, instead of creating another us-them retail space. We wanted people to feel welcome, like they’re sitting at the table with us, instead of creating another us-them retail space. The brand of this particular cafe is Welcoming. It’s homey without venturing into antiques or worn out couches but still approachable, bright and inviting. The location we opened this retail spot in is really special. 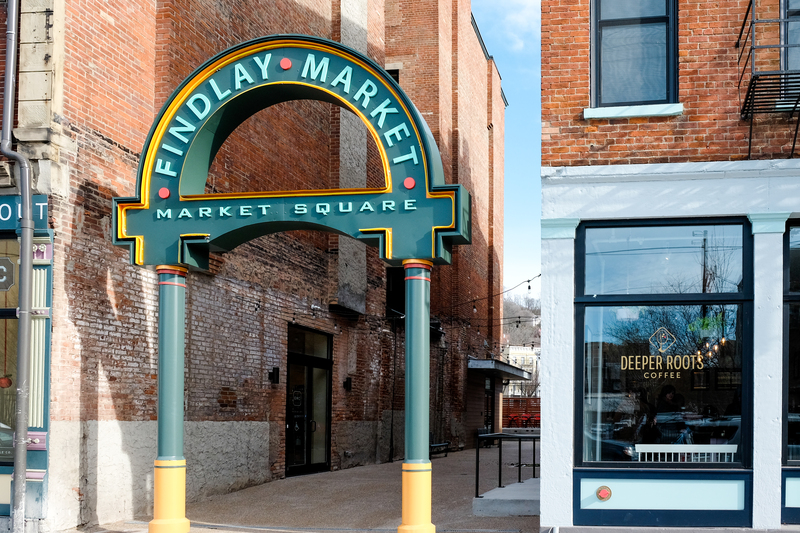 It’s across from historic Findlay Market, one of the longest running markets in the US, and in an area of town called Over-the-Rhine which is the largest intact historic district in the United States. Cincinnati was built on a rich, German immigrant history and to be located in an incredibly old building in an even older neighborhood allows us to pay homage to that history with our own take on adding to that history. The neighborhood is diverse and growing, attempting to include current residents while still catering to those moving back into the downtown area. In recent years, the specific stretch of Race St. that we’re located on has been vacant so it’s really special to be a part of those bringing life back into this area. The neighborhood is diverse and growing, attempting to include current residents while still catering to those moving back into the downtown area. Curtis G4: We use this for batch brewing for those wanting to be in and out quick but still get a special experience. We spent days on the G4 dialing in number and length of pulses, total brew volume, dwell time, etc. to nail down the best way to batch brew our coffee. The G4 is a beast and though it lives in the “batch brew” space, we’ve got this thing dialed in and could rival a chemex brew any day. 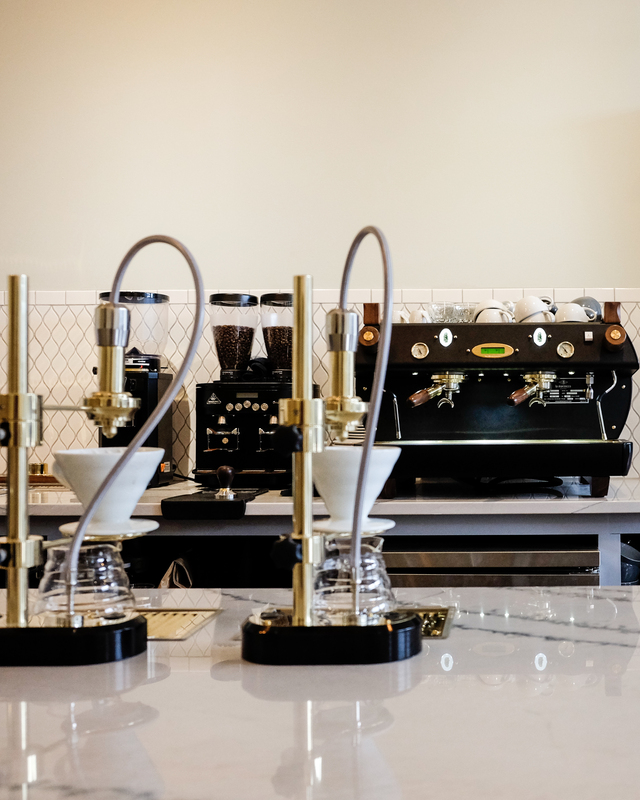 Modbar Pour-over: We chose the Modbar pour-over because we wanted barista-level execution with perfect consistency while also giving latitude for our baristas to stay customer-focused. Too many times we’ve seen customer service lack at the expense of an overworked barista trying to serve the beverage as well as they possibly can. 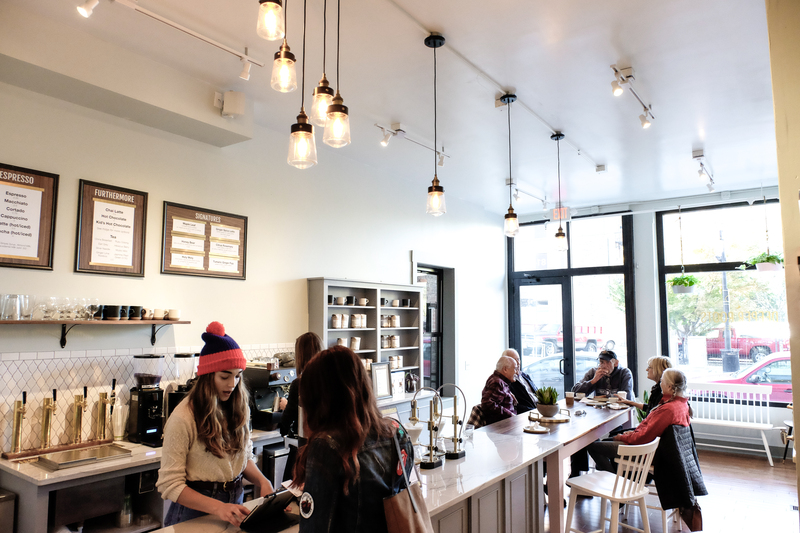 This allows our baristas to stay engaged and by bringing the pour-over to the front bar, near the POS, we invite the customer into the experience with us and can have a conversation about the coffee or their cat while the coffee brews perfectly. Operating anything Modbar still requires expertise by those setting up the programs which keeps our baristas sharp and tasting for consistency. It also allows for better efficiency when things get crazy or a barista ends up on bar alone for a stretch. We chose the Modbar pour-over because we wanted barista-level execution with perfect consistency while also giving latitude for our baristas to stay customer-focused. 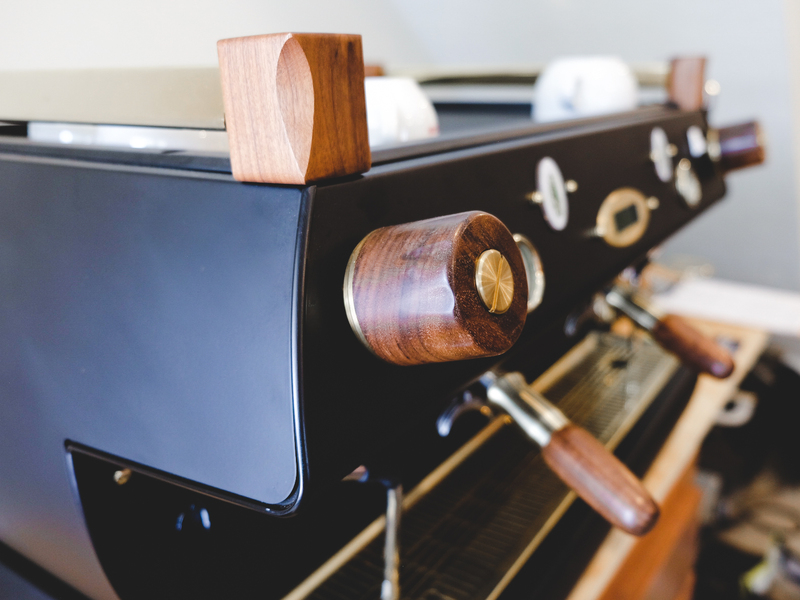 La Marzocco GB5 custom: Do we need to say more? The GB5 has stood the test of time and is just an all-around workhorse. We all sort of “grew up” on a GB5 in the early 2000’s and have always had a soft spot for this amazing piece of machinery. It brews espresso exactly how we like it and having Pantechnicon customize it for us just makes us jittery. Mahlkoenig K30 twin: We love the consistency of this grinder, the low noise level, and the ease of programming. It’s absolutely crazy consistent for us and is pretty easy to dial in. We love having the twin simply because we always have a single origin on the offering sheet. We love having the twin simply because we always have a single origin on the offering sheet. Anfim Scody II: Decaf espresso doesn’t get a lot of love in the industry but since there is a demand for it and since we often are roasting a decaf that could fool anyone, we wanted to elevate the decaf espresso a touch. The Scody II is a cost-effective way for us to accomplish that and gives us pretty great consistency and ease of dialing in. Mahlkoenig GUA: This one is pretty simple. It’s a beast. It’s super consistent, grind size variability is right where we want it and most importantly the coffee from it tastes great. As soon as the customer walks in they’re sort of immediately faced with a coffee bar layout they’ve not encountered before. Is it a bar? Someone’s kitchen table? It’s fun to watch people visiting for the first time navigate those questions. It not too tricky though, pretty soon they see that the POS and ordering system is below our large light fixture at the end of the room. The flow is set up so that someone can order and then move back towards the door and be able to watch the whole process of their drink being made, no matter what they’re getting. The Modbars are right next to the POS so someone can post up and talk to the baristas about the process. The GB5 is on the back bar allowing anyone standing at the front bar or table see how their drink is being made. We were tired of putting big machines right in front of the baristas making it hard for communication with the customer and creating a sort of mystery as to what’s happening behind the machine. Now the customer can see everything that’s going on, modeling a transparency we strive for all the way back to sourcing. We invite them to sit at the table that’s an extension of our front bar to hang with us, or if they’re on the go that’s cool too. We were tired of putting big machines right in front of the baristas making it hard for communication with the customer and creating a sort of mystery as to what’s happening behind the machine. 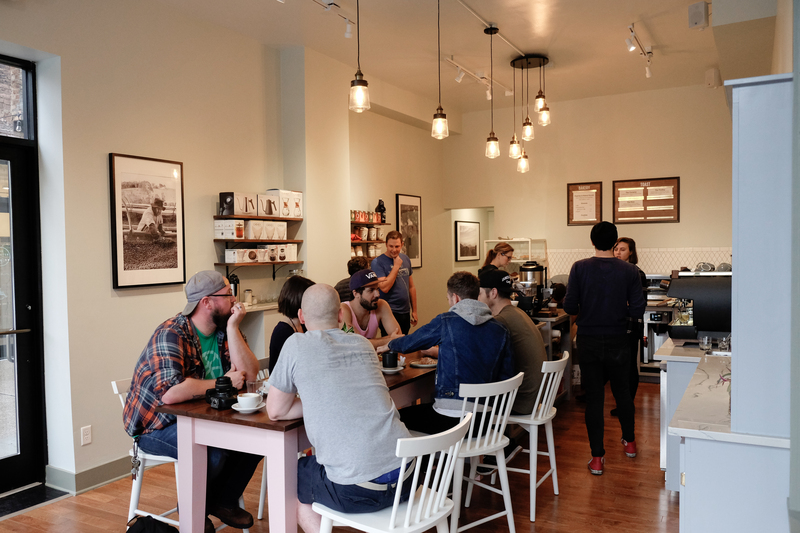 I think what makes this cafe special is the inclusivity of the customer in the process and the transparency we try to bring to the bar layout. Our community table is an extension of the front bar, inviting customers to sit on the same side as the barista making the drink. 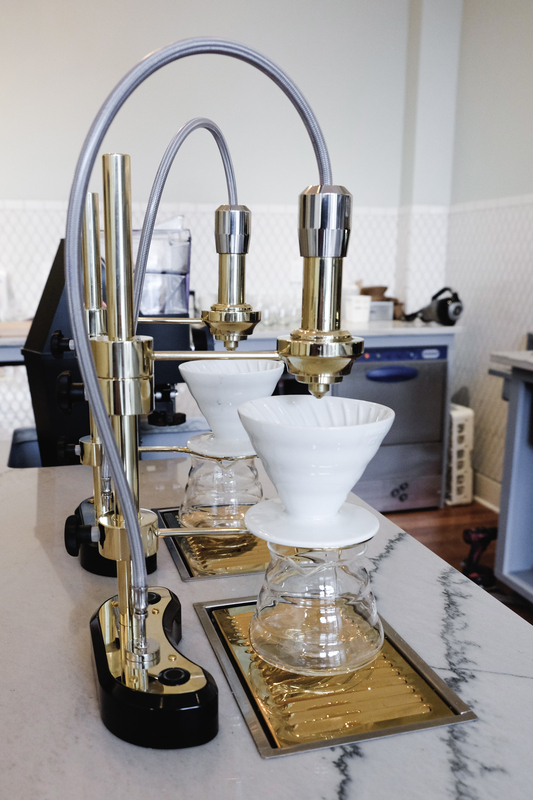 We wanted to demystify the coffee making process and model the transparency we strive for in our business in a physical space. Interested in connecting with the Deeper Roots Team to dig a little deeper?